Among the seemingly endless stream of startup advice, there is little or no consideration for the opportunity to put startup investing ideas to work in the stock market using some of the well-known tools employed by a number of super-angels and venture capitalists. The recent initial public offering (IPO) of Intrexon (symbol: XON) offers one of the best examples of how to use angel and VC investing techniques to make a real investment – and thereby gain some experience and insight about how investing works in the world of early-stage investing. To begin with, nothing focuses the mind more than actually buying a stock and giving financial assets a unique expression of value based on your own point of view. Whether it is public or private stock matters little compared to the final analysis. Eventually, the investor faces the certainty of coming to terms with the calculus of net financial returns (difference between the purchase and sale price) – and perhaps having to be accountable for it in a public or semi-public way like many angels and VCs do. The uniqueness I’m referring to is the personal qualities you bring to an investment; often, this is a balance or blend of intellect and emotion - or quantitative and qualitative analysis. Too much of either will likely doom the investment, and the only real hope for success (sometimes defined as net period returns relative to some benchmark) stems from your unique insight – and this applies equally to picking stocks, VC investing or leading a startup. 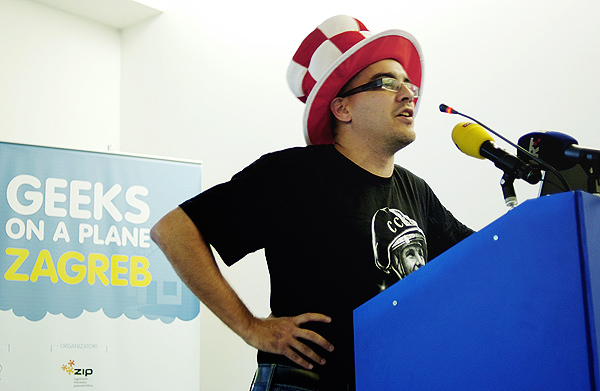 Dave McClure, 500 Startups founder and a vocal and prolific VC investor. Having invested in both public and private companies, I have gravitated towards investing in public companies the way some VC investors and angels work with startup companies. There are important differences, but for me one common concept stands out: my goal is to be approximately right and hugely successful. This investing posture aims for the right balance of intellect and emotion in stock selection and investment timing – and also some degree of ego check. Diversification is important too. When launching something new, it’s not good enough to have a great product or concept. Timing and humility are sometimes just as important. Intrexon is the leader in a new industry called synthetic biology. Synthetic biology applies engineering design principles to biologic systems. Synthetic biology is about the design, modification, and regulation of gene programs to produce a desired outcome, such as the production of a novel antibody from a cell culture, the optimization of a specific gene trait in crops, or the amplification of wild type natural gas metabolism into an industrially feasible process. Over the past 15 years, the company has developed deep expertise in synthetic biology as well as the adjacent fields of process optimization and data analysis to create a technology platform that enables the iterative, directed improvement of experimental design. The company’s product strategy involves bringing many different products to market through collaboration with companies that have expertise within specific industry segments/verticals. For example, Intrexon announced a collaboration with Johnson & Johnson's consumer and personal products division for advancing new skin and hair products. Several new products are slated for introduction with first revenue from commercialized products expected by 2015. Food and healthcare are the first industries that have achieved the early promise of product-market fit. In healthcare, programs in oncology, anti-infectives, antibiotics and tissue repair have resulted in some high profile collaborations. In food, Intrexon is working to increase the productivity and nutritional value of salmon and other fish. The company is also working to establish collaborations in the areas of energy and environmental sciences. Intrexon has developed a business model based on exclusive channel collaborations (ECCs) with partners. In exchange for providing access to its technology, Intrexon receives cost reimbursement (thus mitigating the need to raise additional external funds) along with significant downstream economics. This emphasizes the inherent scalability of Intrexon’s technology and maximizes long-term earnings with all its ECCs. The company has already signed over 15 ECCs including, notably, with Johnson & Johnson. Intrexon is expected to sign multiple ECCs, creating a broad pipeline of projects that diversifies single product risk. I am personally attracted to investment concepts that promises to innovate in technology as well as in the business model, though this sometimes might be an indicator of greater risk. In this case, the company appears to be executing on both simultaneously. • Learn by utilizing information gained in our iterative processes to create better DNA vectors and gene programs using a more informed and efficient process to achieve improved outcomes. As a result of our approach, we have developed extensive knowledge about many classes of DNA components and the rules governing their expression and activity. We have also assembled an inventory of these DNA components that we can use to rationally construct unique vectors rapidly and with predictable outcomes. The knowledge embedded in our DNA database allows us to create single gene and highly complex multigenic gene programs (an individual gene program containing multiple genes). Third-party ECCs are likely to reduce the possibility of vanity metrics and success theatre from clouding the picture investors get during the critical product development stage. Is the technology understandable and scalable? • Platform neutral — outcome oriented. We can work across different cell types with the objective of achieving the intended biological outcome allowing for product development across a broad spectrum of end markets. • Knowledge driven. We use statistical modeling tools and computational analysis to continually acquire more knowledge about biological systems and their design to continually improve our ability to develop new and improved products and processes for our collaborators. • Rationally designed. Our knowledge of biological systems and components allows us to design, build and select gene programs and predict the probable outcome of these programs. • Capable of complexity. Our technologies enable the design and precise control of complex biological molecules and multigenic gene programs. • Industrial scale. We use engineering principles and automation to enable products based on synthetic biology that are commercially viable. Cell System Informatics sounds a lot like a dashboard for measuring and directing biological activity! This sounds like the future to me. Is the CEO experienced in the field and has prior exits? Intrexon is led by Chairman and CEO Randal J. Kirk, one of the most successful healthcare leaders of all time. Kirk founded and led New River Pharmaceuticals until its acquisition by Shire for $2.6 billion, and led Clinical Data through the successful development and approval of the anti-depressant Viibryd before selling the company to Forest Labs for $1.2 billion. Presently, Kirk owns about 60% of Intrexon’s shares through his investment vehicle, Third Security LLC. In investing, it doesn't get much better than Randal Kirk as a leader! Am I investing alongside people smarter than me? Yes. Dan Loeb’s Third Point LLC hedge fund ($14 billion AUM) presently owns 2.17 million shares acquired in 2011 when the company was private. According to records and filings, it appears Third Point participated in Intrexon’s 2011 Series E preferred stock offering. Greenlight Capital, a hedge fund run by David Einhorn, owns a similar about of stock. According to media reports as recent as January 2014, Dan Loeb is quoted as stating that he continues to accumulate the company’s shares in the public market. Intrexon is a risky stock surrounded by numerous indicators of future success. What investors trade away in not getting in early at a lower valuation, they gain in lower relative risk and liquidity should circumstances change. In summary, there are definitely VC and angel investment returns (ie. 10x) to be harvested in Intrexon should it deliver on its promise.